Pricing includes the magnifier with an engravable plate that fits in the floor of the magnifier, an adhesive disc holds it in place. 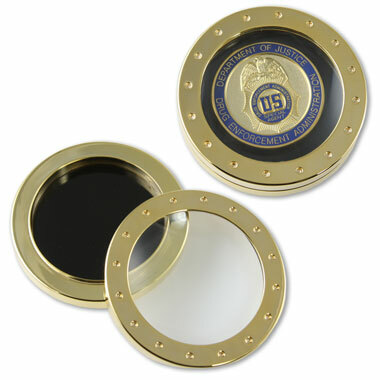 Holds Coin or Medallion up to 1-7/8" diameter. All coins and medallions are sold separately.